The below is an extract from Tariq Ali's introduction to Class War Conservatism: And Other Essays, by Ralph Miliband - currently 50% off as part of our UK Election reading list (ends today). See the full reading list and sale here. 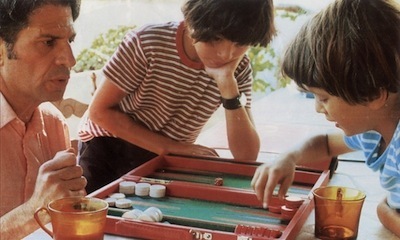 Ed and David Miliband play backgammon with their father, Ralph, in 1976. Photo credit: the Guardian. 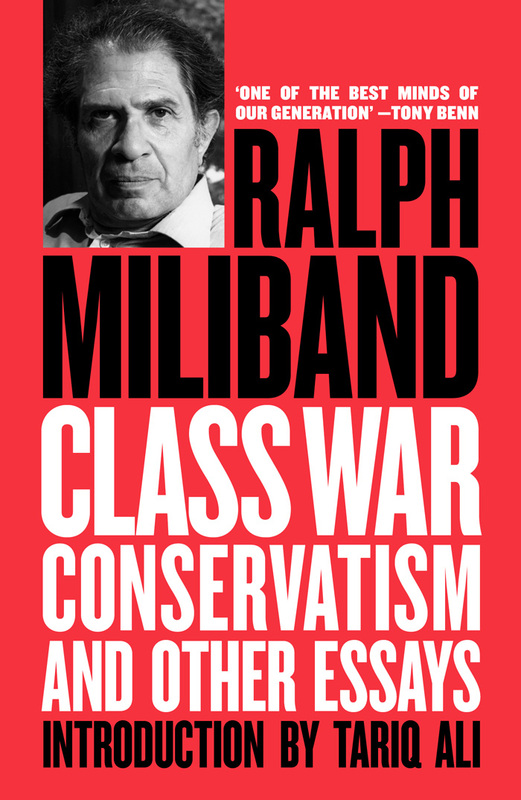 Ralph Miliband was a socialist intellectual of great integrity. He belonged to a generation of socialists formed by the Russian revolution and the second world war, a generation that dominated leftwing politics for almost a century. His father, a leather craftsman in Warsaw, was a member of the Jewish Bund, an organisation of militant socialist workers that insisted on preserving their ethnic autonomy. Poland, after the first world war, was beset by chaos, disorder and a foolish incursion by the Red Army, which helped to produce the ultra-nationalist military dictatorship of General Piłsudski. There were large-scale migrations. One of Ralph’s uncles had gone eastwards and joined the Red Army, then under Trotsky’s command. His parents had left Warsaw separately in 1922. They met in Brussels, where they had both settled, and were married a year later. Ralph was born in 1924. The years that lay ahead would be bleak. Hitler’s victory in Germany in 1932, followed by the Spanish civil war, polarised politics throughout the continent. It was not possible for an intellectually alert 15-year-old to remain unaffected. Ralph joined the lively Jewish-socialist youth organisation Hashomeir Hatzair (Young Guard), whose members later played a heroic role in the resistance. 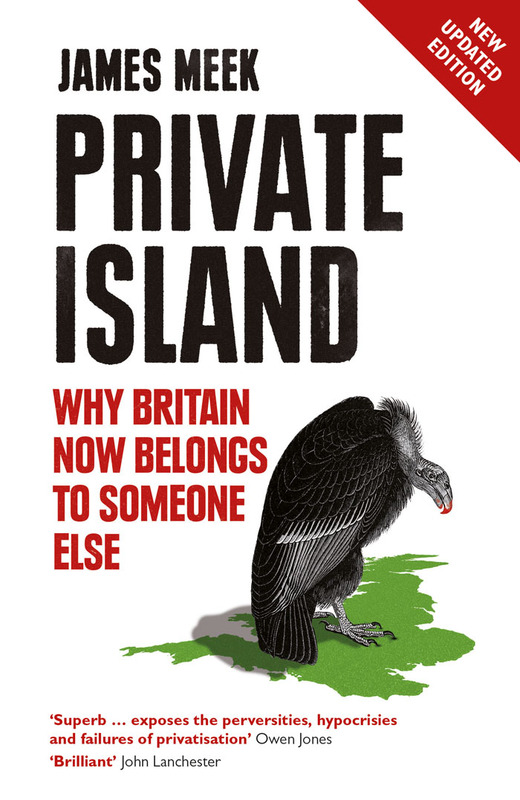 It was here that the young Miliband learned of capitalism as a system based on exploitation, in which the rich lived off the harm they inflicted on others. One of his close friends, Maurice Tran, who was later hanged at Auschwitz, gave him a copy of The Communist Manifesto. Even though he was not yet fully aware of it, he had become enmeshed in the business of socialist politics. In 1940, as the German armies began to roll into Belgium, the Milibands, like thousands of others, prepared to flee to France. This proved impossible because of German bombardment. Just as well; Vichy France, with the complicity of large swaths of French citizens, would later send many Jews to the camps. So Ralph and his father walked to Ostend and boarded the last boat to Dover, which was already packed with fleeing diplomats and officials. The family was divided. His mother and younger sister, Nan, remained behind, and only survived the war with the help of the Resistance. Ralph and his father arrived in London in May 1940. Both worked, for a time, as furniture removers, helping to clear bombed houses and apartments. It was Ralph who determined the division of labour, ensuring that his main task was to carry the books. Often he would settle on the front steps of a house, immersed in a volume. His passion for the written word led him to the works of Harold J Laski. He read that Laski taught at the London School of Economics (then exiled in Cambridge) and became determined to study there. His English was getting better by the day and, after his matriculation, he finally found his way to the LSE. Laski became a mentor, never to be forgotten. 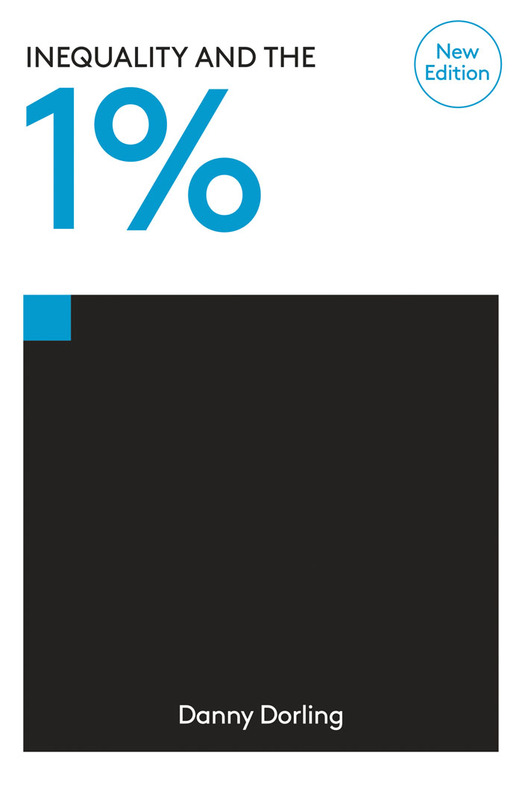 After the war, he graduated from the LSE with a PhD and embarked on a long academic career. He taught first at Roosevelt College in Chicago and later became a lecturer in political science at the LSE, later still a professor at Leeds. This was followed by long stints at Brandeis and New York. In the late 60s and 70s, he was in great demand at campuses throughout Britain and North America. He winced at some of the excesses (“Why the hell do you have to wear these stupid combat jackets?” I remember him asking a group of us during a big meeting on Vietnam in 1968), but remained steadfast. A Miliband speech was always a treat: alternately sarcastic and scholarly, witty and vicious, but rarely demagogic. At a teach-in on Vietnam in London in 1966, he roared in anger: “Our leftwing friends in the PLP [Parliamentary Labour Party] tell us that they cannot force a vote on the Labour government’s shameful support for the imperialist war in Vietnam because Labour only has a tiny majority. They do not want to bring the government down. Bring it down and let honest politicians arise.” Everyone knew the Conservatives would back the government on Vietnam, but it was the mendacity of some on the Labour left that angered him. Apart from a brief spell in the Labour party, he belonged to no organisation. His fierce independence excluded the Communist party. His dislike of posturing and sterile dogma kept him away from the far-left sects. This turned out to be a strength: he was unencumbered by any party line, which made his speeches refreshing. There was music in his delivery. As a writer, he deployed a wide political culture and clarity of argument. Two of his books, Parliamentary Socialism (1969) and The State in Capitalist Society (1972), became classics during the 60s and 70s. As he lay dying in hospital, it gave him great pleasure to feel the proofs of his last work, Socialism for a Sceptical Age (1994). His wife, Marion, and his two sons, David and Edward, had read the first draft of the book. He had not accepted all of their criticisms and suggestions, but the process had stimulated him. The family had made him very happy. His death on 21 May 1994 left a gaping void in a time difficult for socialists everywhere. And there we might have left it, privately bemoaning the fact that the Miliband name is now known largely because of the political fame acquired by his sons. Ironically, it was the election of Ed Miliband as leader of the Labour party that revived a discussion on his father’s political philosophy. In October 2013, the Daily Mail decided to launch an assault on the reputation of Ralph Miliband in order to punish and discredit his son. This operation, masterminded by the tabloid’s editor—a reptile courted assiduously in the past by both Tony Blair and Gordon Brown—backfired sensationally. It was designed to discredit the son by hurling the “sins of the father” on the head of his younger son. They did so by reprinting a few sharp observations scribbled by Ralph during the second world war after listening to people conversing with each other on the Tube. Taken out of context, these were presented as the views of someone who “hated Britain”. Ed Miliband’s response united most of the country behind him, and against the tabloid. Ralph, had he been alive, would have found the ensuing consensus extremely diverting. The Tories and Lib Dems made their distaste for the Mail clear; on the BBC’s Newsnight, Jeremy Paxman held up old copies of the Mail with its pro-fascist headlines (“Hurrah for the Blackshirts”, the best remembered); two former members of Thatcher’s cabinet defended Miliband père, with Michael Heseltine reminding citizens that it was the Soviet Union and the Red Army that made victory against the Axis powers possible in the first place; and an opinion poll commissioned by the Sunday Times revealed that 73% supported Ed Miliband against the Rothermere rag. His political views were far removed from those of his sons, and pretending otherwise is foolish. Ralph was not a one-nation conservative who believed in parcellised “social justice”. He remained a staunch anti-capitalist socialist till the end of his life. He was extremely close to both his sons, and was proud of their success, as any other migrant refugee would be—his kids have done well in a foreign land—but not in a political sense at all. He loathed New Labour, and in our last conversations described Blair as “Teflon man”. Neither he nor Marion (an equally strong-minded socialist and feminist) ever tried to inflict their politics on the children. Given his short temper, I wonder whether this self-denying ordinance would have survived the Iraq war. I doubt it. In fact, I had pinched it from Karl Liebknecht, the German socialist, explaining his vote against war credits in the German parliament in 1914. Ralph Miliband, like many anti-fascists, joined the armed forces during the second world war. He opposed the wars in Korea and Vietnam, and spoke loudly and clearly against the Falklands expedition. If this was the case in the 60s and 70s, his views on the Blairite version would have become more and more ferocious had he lived for another decade. 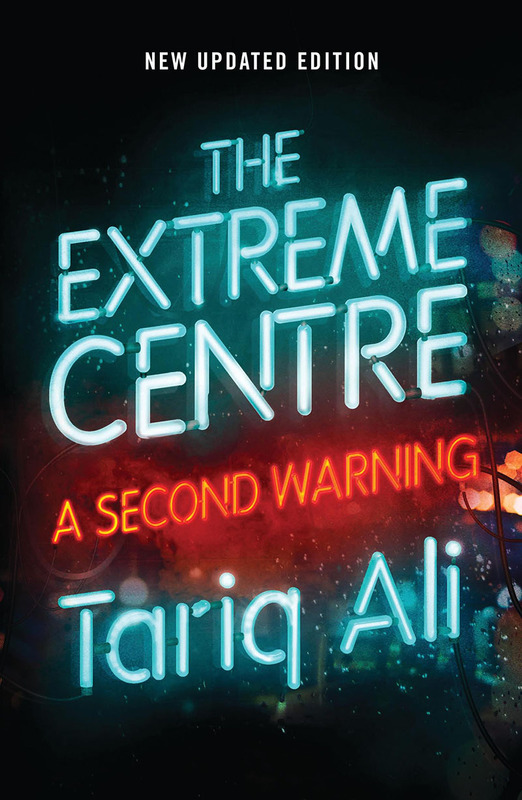 Visit the Guardian to read the extract, from Tariq Ali's introduction to Ralph Miliband’s Class War Conservatism and Other Essays.